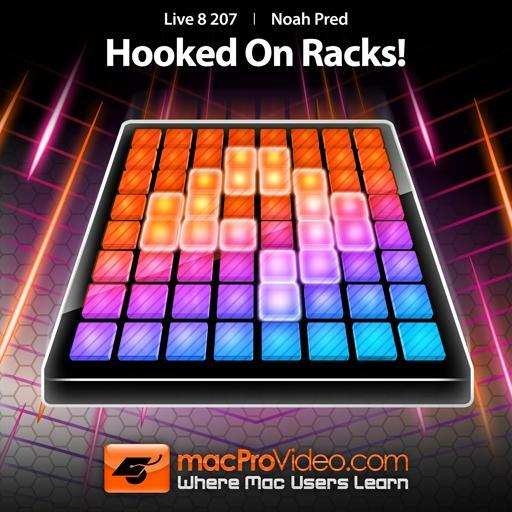 Live 8 207 - Hooked On Racks!. Which zone editor can you use to create keyboard splits? How many layers can you add in an Instrument Rack? How can you make sure that the Random plug-in doesn’t generate “bad” notes? It is possible to create a rack within a rack. True or false? What is an Instrument Rack? Parallel processing splits the audio or MIDI signal into multiple signal streams. True or false? Is it possible to use Macros with MIDI effect racks? The Random, Scale, Pitch and Note Length devices are ________. How can you invert the range of a Macro knob? How many Macro knobs are available in a rack? If a device is inserted outside of a rack, you can’t assign its parameters to the rack’s Macros. True or false? If you insert an effect device to the left of the meter within the rack, the effect will process the entire rack. True or false? You have answered 0 out of 12 questions.